In the state of Colorado, employers are required to designate four workers’ compensation providers for injured employees to choose from. But not all providers are the same. You should have an idea of which provider you’d like to suggest when an injury does occur. Why does your provider matter? It’s important that you’re offering the best medical care possible for your employees when they’re injured at work. It can help to reduce medical costs, allow your employee to get back to work faster and provide for a more comfortable healing process. Technically, there is no requirement for what kind of physician you work with. But not using a workplace health expert could be a costly decision in the long run. 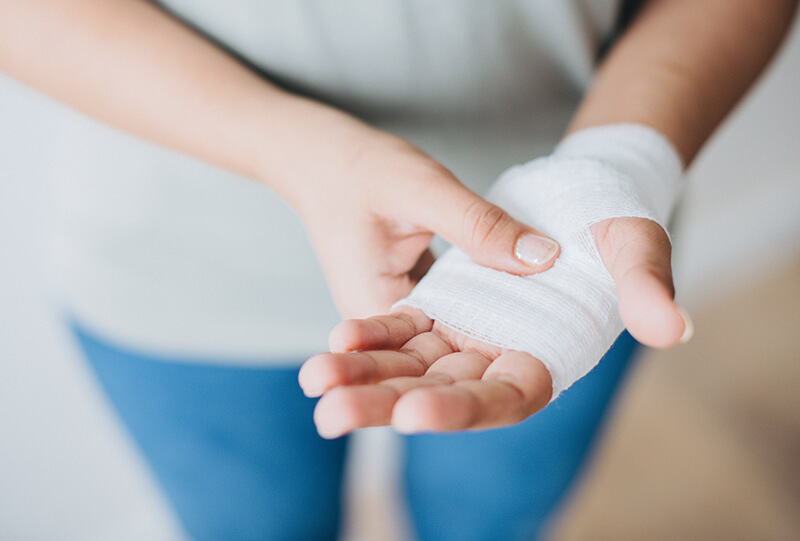 Experienced occupational medicine providers know how to effectively treat workplace injuries and work within Colorado’s specific regulations. A general practitioner may not know what types of treatments could translate to recordable injuries—ones that could inadvertently lead to hefty fines for your company. It’s important to build a strong relationship with the provider from the beginning—before an injury occurs. A good workers’ compensation provider will keep you in the loop about your employee’s recovery from start to finish. They may even offer client companies their personal phone number. Communication can also aid in a quicker recovery. When the provider knows more about the nature of your company’s work, they can help to recommend less strenuous alternative work options for the employee, allowing them to continue to work during their recovery. Studies show that patients have better outcomes and return to normal function more quickly if they continue to work during their recovery. In cases where employees are a part of a larger workplace team, a provider can also recommend that the injured employee temporarily work in a different, less strenuous position or complete required training—still performing “full duty” work. “They might not be able to do all the jobs within the team, but they may be able to do one of them. That helps keep it non-recordable,” says Dr. Julie Parsons, Occupational Medicine Director at Advanced Urgent Care & Occupational Medicine. Some injuries will require the expertise of a medical specialist, such as a physical therapist. With over 20 years of experience in workers’ compensation injury care, Dr. Parsons has developed important relationships with a network of talented specialists in the Brighton, Northglenn and Fort Lupton areas. Do you need a workers’ compensation provider? With hundreds of local clients including school districts, local governments, oil and gas, construction, trucking, restaurants and retail, our diverse experience has translated into a wealth of knowledge among our providers. Learn how we can help your company save money today.